OK our desks are full with all kind of gadgets but why does our mouse have to live between all that dirt? With this book you can make great homes for you computer mouse. 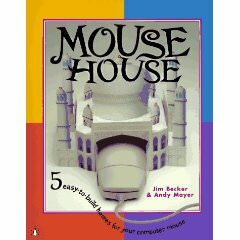 Order you copy of the Mouse House: 5 easy to build homes for your computer mouse today and build your mouse a home.